I arrived alone on Friday evening not quite sure what to expect. I have never been to a Startup Weekend before but I do know a lot about them having sponsored over 100 of them with a former job so I was looking forward to getting involved. I spent the first few minutes admiring the venue. Those Googlers sure do live it up. Their canteen (if you could call it that) was very spacious and I am pretty sure there were some professional Chefs hiding in the background. The event included food and we enjoyed 7 (!) meals there. That alone made the ticket good value! After a brief period of 'Networking' - something that I have yet to find comfortable - we were good to go. Stu Fergus kicked things off by saying hello and then Russell Banks got up and said how he started conker.io here last year. That was pretty cool to hear and it certainly made me 100% more excited about the event. After giving us a quick rundown of the event an ice breaking game was introduced. I groaned inwardly however I was proven totally wrong. The game was to divide up into groups of 4/5 and then nominate someone to approach a word wall and pick out two words for your team. The teams then had about 10 mins to come up with a startup idea based on those two words and nominate someone to pitch it. Our two words were 'memory' and 'trap' and I had to pitch the very antithesis of a social app - one that purges any unwanted memories from your and your friends social timelines. I could certainly see people using this if it actually did exist. The game was great and it certainly got people into the mood for pitching. Also it was really good just to get to know a few people sitting beside you. I checked in regularly with the other three guys on my team (Fergus,Michael and William) over the weekend to see how they were getting on. Anyway, the pitches for the icebreaking game were great. Really lightened the mood in the room and took away the fear of getting up on stage. So much so that nearly half the room joined the queue to pitch a startup idea! Fifty pitches was tough to keep track of but luckily some people (cheers Ian!) were smart enough to write down the ideas so that helped. Out of those 50, 20 received enough votes and were paraded up on stage to much applause and then it was time to form teams. One thing was quickly apparant. Your initial success at a Startup Weekend event is very much determined by how much you sell yourself. If you are attending an event like this I would advise you to go for it and really put yourself out there. It was very much an exercise of selling, both of yourself and your ideas. Great, invaluable skills that you can never practise enough of. 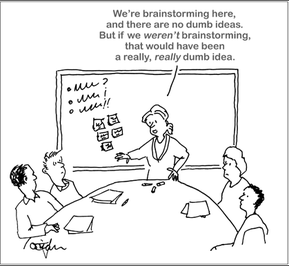 That does assume that success means having the idea you pitch chosen and a forming a team to work on that idea. I was pretty happy to just join a team that looked like fun and work on a cool project for 54 hours. What team did I join? 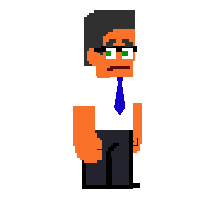 Well Mariano's pitch of 'I have no idea - I just want to make a game' sold me and so I was always going to try and join that team. 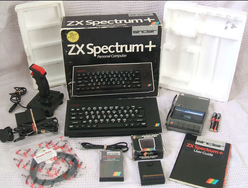 I was interested in how games got made so if nothing else I was going to have that curiosity satiated this weekend! We quickly formed into a team after a brief panic when we realised we had no artist / graphic designer but luckily David Oglesby (who is brilliant) came to the rescue on that front. There were 8 of us originally. Mariano, Greg, Joseph, David, Dorin, Ciaran, Bambi and myself. We would lose Bambi after that night (never to be seen again) and Ciaran was last seen in Slatterys on Saturday. Hopefully they are both alive. So that was that. Friday night was over & with talk of 'come up with some ideas' we headed for home to return 9am sharp the next morning and figure out what kind of game we were going to try and build. The one we ended up voting for and choosing was an Office themed simulation game. 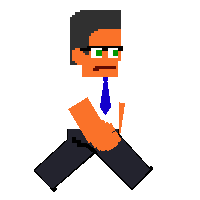 You start as an intern in a startup and have to progress his career and eventually become the boss. Problem is you have anger management issues and constantly have a need to beat the crap out of office furniture, employees etc. 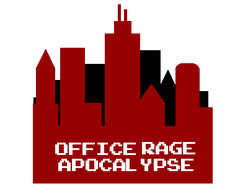 We called it Office Rage Apocalypse. 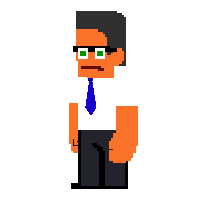 The main character was named Doug Mikeless (taking inspiration from Michael Douglass in Falling Down). He is an angry man! We spent the next 30 hours storyboarding, building characters, composing music (which unfortunately never made it into the game due to technical difficulties exporting it), planning the monetisation and promotion tactics to be used, meeting mentors and generally just making a game. Big thanks to mentors Andrea Magnorsky, Sean Blanchfield & Eoin Costello for some great advice over the weekend. Also to Raviq who reminded us that 'the best way to succeed with a game on Facebook is to spam the crap out of everyone'. The last platform I built a game for. All in all, it was a brilliant weekend. Met lots of amazing people and had a blast. 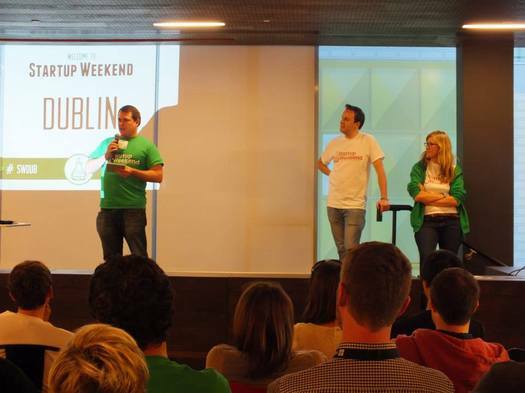 If there was another Startup Weekend Dublin next weekend I am 100% sure I would attend that one too! Hopefully we won't have to wait a whole other year until the next event. 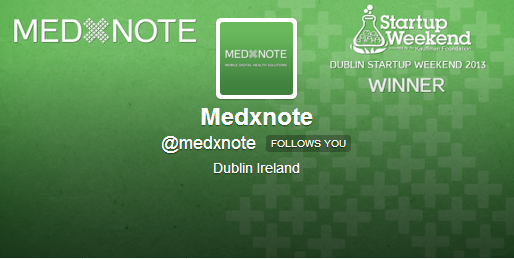 Final thought is a massive shout out to the winners MedXNote. Niall and his team were sitting next to us all weekend and they really worked hard at it and their passion for the problem they were solving was very obvious and inspiring to all. I must have heard Niall thanking his team-mates for joining him 50 times over the weekend. Inspiring figure and I wish them every success!